King Felipe and Queen Letizia went into what has become hostile territory late last week to hand out the Princess of Girona Awards. Girona is a region is Spain, in Catalonia, with a relatively high rate of pro-independence sentiment. Girona officials denied the King and Queen use of an arena there, citing repairs, and Catalan officials did not attend. Still, the ceremony, organized by the Princess of Girona Foundation, appeared to be a success. The King and Queen, the day after the awards, also met with participants of a program to encourage young professionals. Demonstrators for and against the Crown meant increased security surrounding the royal visit. The King’s daughter, as heir to the Spanish throne, is Princess of Asturias and Girona, among other titles. The title dates back to when the prince or princes of Girona was the hair to the Crown of Aragon. Barcelona Mayor Ada Colau confronted King Felipe during a dinner yesterday to welcome this year’s Mobile World Congress in the city. The mayor refused to formally welcome the King because she sees him as supporting police action against last year’s illegal referendum on Catalan independence. She told him so this week. King Felipe with Barcelona Mayor Ada Colau to the right and Spanish Vice President Soraya Sáenz de Santamaria to the left. The King, according to sources and media outlets, responded that his role was to support the Spanish Constitution and the Catalan statute of autonomy. Queen Letizia today called for progress toward a better, fairer Spain during remarks in Valencia. 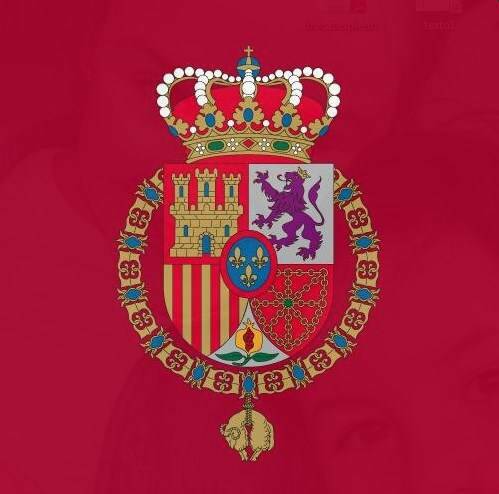 The Queen represented the Crown during the Rey Jaime I award in the community of Lonja de los Mercaderes. Her husband, King Felipe, is said to have cleared his schedule once again to attend to the crisis in Catalonia. Members of the Spanish Royal Family presided over National Day festivities in Madrid this week amid the ongoing constitutional crisis. With the Catalan government threatening independence, attendance was up at the Fiesta Nacional military parade. The Ministry of Defense and other government organizers moved the event north to accommodate more spectators. The King held a brief reception at the Royal Palace after the parade. He has otherwise cleared his agenda to deal with the crisis. The day was not a total success. One of the fighter jets that participated in the pageantry crashed and the pilot died. King Felipe this evening delivered a rare and fiery speech against the Catalan government’s move toward independence from Spain. Catalan leaders have been pushing for a legal referendum for years, something the central government has rejected, fearing many people will use the occasion to cast a protest vote over economic and other grievances. The Catalan leadership is now threatening to declare independence even though polls show most Catalans don’t support the move. Don Felipe is calling their actions “unacceptable disloyalty,” and against Democracy and the rule of law, reiterating constitutional protections and Catalonia’s Statute of Autonomy. The King’s speech is almost unprecedented. His father, King Juan Carlos, delivered major messages during his abdication and during an attempted coup in the early 1980’s. King Juan Carlos in 1981. Left wing and pro-independence parties slammed the speech for not focusing enough on dialogue. The King, however, has pressed for dialogue numerous times before. “These moments are hard but we will overcome,” said the King, stressing Catalonia would continue being Spanish. King Felipe once again used his bully pulpit to address the crisis in Catalonia, where pro-independence parties are looking to force a referendum on independence. Don Felipe said the Spanish Constitution would prevail as the guarantor of liberty and progress, and against those who seek to break it. The King often addresses the Catalan question in indirect terms, trying to stay above politics. King Felipe today sought to revive the spirit of the 1992 Barcelona Olympics as a way to combat political instability in Catalonia. His Majesty participated in ceremonies in the Catalan capital to commemorate the 25th anniversary of the historic games. There he met with Catalan President Carles Puigdemont, who is calling for a referendum on independence from Spain. The King also met with Barcelona Mayor Ada Colau, known for her left leaning views but also her discomfort with independence. Some of the events were at Albéniz Palace, the King’s residence in Barcelona, which is mostly used for ceremonial purposes.